Certification: CE, ISO9001 and ISO14000. 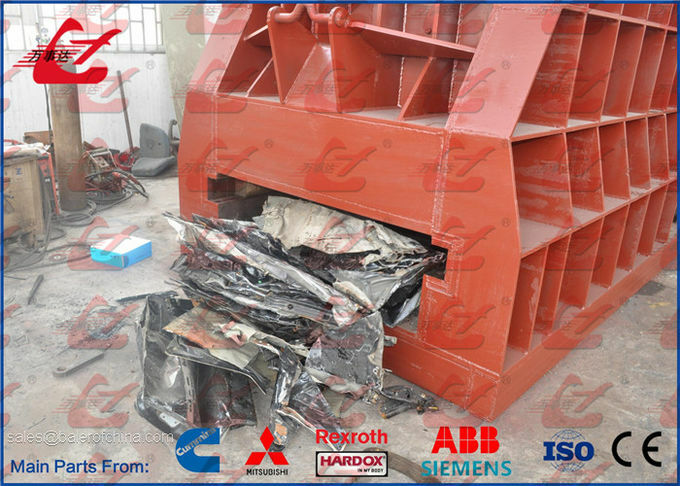 Wanshida China Automatic scrap metal shear for HMS 1&2 scrap supplier-Specialize in metal recycling equipment such as scrap metal shear, metal baler, shear baler, metal briquetting press, etc. Given our actual development situations at present, this Q43W-4000B horizontal metal shear is designed and fabricated through absorbing the advanced workmanship of congeneric products. It is mostly exported to Russia, Ukraine and other counties. This Automatic scrap metal shear for HMS 1&2 scrap is applicable for cutting the metal shaped in different cross section like round, square, channel, angle, I shape, plate and various waste structural metal at cold state. It brings convenience to the baling, storage and transportation of scrap metal materials, also offers qualified furnace charge for smelting plant. With large application range, this machine is commonly used as the processing equipment in the metal recycling unit, casting room of factory and machinery construction industry. 2. Different from the product with mechanical transmission system, our hydraulically driven machine has a range of characteristics including small volume, light weight, small inertia of movement, low noise, steady movement, flexible operation, large cutting section, etc. 3. Due to the combination of hydraulic and electrical control, the horizontal metal shear is able to accomplish the shift of single and continuous cutting easily. 4. While cutting, the machine is able to process the materials automatically without manual support. Operators only need to feed the materials for cutting into the compress room continuously consistent with the cutting speed. Our product can be powered by motor or Cummins diesel engine as required. 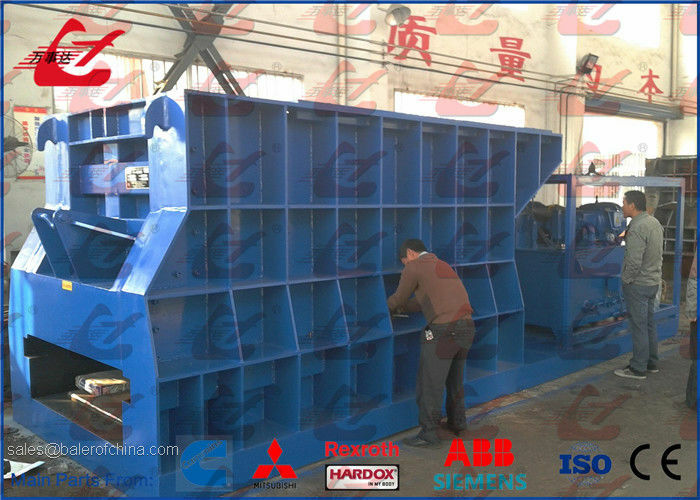 Are you looking for metal press baler for scrap metal? This is 250ton metal baling press with hand valve control and 60kW power.